Memoir Revolution: A Social Shift that Uses Your Story to Heal, Connect, and Inspire is Jerry Waxler’s beautifully written memoir, integrated with his deep and abiding knowledge and passion for story. In the 1960s, Jerry Waxler, along with millions of his peers, attempted to find truth by rebelling against everything. After a lifetime of learning about himself and the world, he now finds himself in the middle of another social revolution. In the twenty-first century, increasing numbers of us are searching for truth by finding our stories. In Memoir Revolution, Waxler shows how memoirs link us to the ancient, pervasive system of thought called The Story. By translating our lives into this form, we reveal the meaning and purpose that eludes us when we view ourselves through the lens of memory. And when we share these stories, we create mutual understanding, as well. By exploring the cultural roots of this literary trend, based on an extensive list of memoirs and other book, Waxler makes the Memoir Revolution seem like an inevitable answer to questions about our psychological, social and spiritual well-being. Memoir Revolution: A Social Shift that Uses Your Story to Heal, Connect, and Inspire is available as an e-book and paperback at Amazon. To win a copy of Memoir Revolution please enter using the Rafflecopter form at the bottom of this post. The giveaway contest closes this Friday, November 7th at 12:00 AM EST. We will announce the winner the same day in the Rafflecopter widget. Good luck! Jerry Waxler teaches memoir writing at Northampton Community College, Bethlehem, PA, online, and around the country. His Memory Writers Network blog offers hundreds of essays, reviews, and interviews about reading and writing memoirs. He is on the board of the Philadelphia Writer's Conference and National Association of Memoir Writers and holds a BA in Physics and an MS in Counseling Psychology. WOW: Jerry, we've had quite a few interesting conversations and you've given me advice as well as helping other authors. We've gotten to know one another quite well while setting up your tour (and prior to that while working together on other book tours), so let me ask you this: What single piece of advice stands out as being most influential in your writing career? Jerry: Hmm. Great question. Writing advice has influenced me throughout my journey to become a writer, it’s hard to identify the best. One piece that jumps to mind was offered by bestselling author Jonathan Maberry who told me I need to put more of myself in my writing. The reason that suggestion had such a far-reaching impact on me was that until then I always tried to hide. When I tried to follow his advice, I had to come out from behind the curtain and show myself to my readers. I credit this piece of advice with starting me on the road toward writing a memoir. WOW: That's a big deal considering the source as well as the lesson - awesome! What advice would your current self offer to your previous self? Jerry: Wow. You’re good. That question touches on the very essence of the Memoir Revolution. Memoirs celebrate the process of growing wiser, because by the end of every memoir, we’ve learned some things we wouldn’t have known at the beginning. WOW: I'm good? Considering your reputation in this business, I'm blushing! As long as we are being open and honest, care to share your thoughts on writers groups or book clubs? Jerry: I love writing groups. They transform writing from a solo to a social activity. As a writing teacher I have the privilege of participating in lots of writing classes, and I witness over and over how students are lifted by the experience of writing in the company of others. I also am a big fan of critique groups. Whether online or in person, these groups offer an important source of feedback. When I first joined a critique group, my main goal was to get feedback for my own writing. After a while, I realized another benefit. By critiquing other writers, my own editing skills were getting faster and sharper. WOW: I can see the value of critique groups, but they can be scary too. What about the rejection factor? How do you deal with rejection or a negative review? Jerry: I hate rejection! It makes me feel small and worthless. To help me cope with those feelings, I studied self-help for years. Based on my research into the emotional challenges of being a writer, I wrote my other book, How to Become a Heroic Writer [link: http://amzn.to/1utWkpO ] In it, I describe self-soothing and confidence-boosting techniques to help writers reduce their fear of judgmental readers, and instead to reach out lovingly toward an admiring audience. WOW: I find your writing as well as your answers to these questions to be absolutely intriguing! You said on your blog "stories light the way through the complexities of life" - Could you say more about this? Jerry: When you watch a movie or read a novel, the lessons only apply to people in the author’s fictional world. But when you read memoirs or try to write your own, you cross over from the fictional world into the real one. By seeing real life portrayed in memoirs, you can learn lessons and inspire hope. For example, the protagonists in memoirs strive relentlessly to achieve some goal. By surviving grief, or overcoming difficulties, they become heroes. In so many real world stories, the compassion of supportive people makes the difference between failure and survival. By thinking about the experience in life stories, you can solve problems, recover from grief, visualize the future, and make sense of other cultures. WOW: You wrote a whole book about why you love the Memoir Revolution - could you pick one or two top reasons that would help WOW readers understand why this exploration has meant so much to you? Jerry: My impulse is to list dozens of reasons and go into detail on each one. Let me think how to boil it down. Simply put, memoirs have helped me understand myself better and at the same time helped me understand other people. After studying many memoirs and teaching classes, I realized that an ever-growing number of other writers are experiencing the same benefits. I feel like we’ve all been invited to a huge party. I’m excited every day to wake up and participate in this party. WOW: Jerry, you brought up the topics of movies early, but what television shows do you watch? Jerry: In previous years, my wife and I watched eight seasons of Project Runway. This year, we finished our second season of The Voice and our first season of So You Think You Can Dance. The thing all these shows have in common is that they are about people striving to achieve creative excellence. Each participant pours every morsel of their energy into doing a great job in order to please the viewer or listener. I love memoir writers for the same reason. Every person who attempts to turn life into a story aspires to learn the techniques and strategies to ensure that the story is well told. I love to watch and participate in that mass movement in which tens of thousands of people are on a mad dash to please, entertain, and inform each other. WOW: This entire experience (and this interview) has been most enlightening and I'm sure readers can't wait to hear more from you as your WOW! tour continues. Thank you Jerry! Jerry Waxler stops at Mari McCarthy's Create Write Now to tell us a little bit about Switching From Journal Writing to Memoir Writing and tells more about his own story - Memoir Revolution. Join author and blogger Madeline Sharples as she reviews Jerry Waxler's book Memoir Revolution. Find out what a memoir author thinks of this intriguing book that is part guide and part memoir! Jerry will also delight reader with a guest post Comparing the Benefits of Journal Writing and Memoir Writing. Join Jerry Waxler and Audry Fryer and find out why Jerry called his latest book Memoir Revolution and register for the giveaway to win your own copy of this fascinating book! Join Jerry Waxler as he writes a guest post about the "Types of Memoirs" for Lauren Scharhag's blog today! Find out more about Jerry, memoirs, and his book Memoir Revolution! Join Jerry Waxler as a guest blogger as he chats about "Twenty years in choir and the power of habits" at Vera's Version and find out more about Memoir Revolution and what Jerry has to say about writing your own memoir! Read Jerry Waxler's entertaining and insightful guest post as he visits with fellow author Sherrey Meyer. Sherrey asks the loaded question: "Your bio says you studied counseling psychology. How does that relate to memoir writing?" There will also be one copy of Jerry's book Memoir Revolution available for giveaway as part of this blog stop. Pop over today and don't miss a moment! Tune in today as Katherine Hajer reviews Memoir Revolution by Jerry Waxler. See what she thinks about this interesting book! 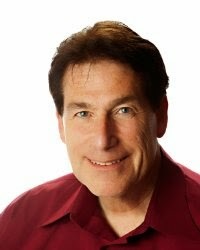 Join Jerry Waxler as he stops at Romance Junkies for an insightful interview about himself and his unique book Memoir Revolution. Jerry Waxler visits CMash Reads and shares his thoughts on turning his lawn into a story while also providing some insight into his popular book Memoir Revolution. Join Crystal Otto as she shares her review of Jerry Waxler's Memoir Revolution and offers readers an opportunity to win their own copy! 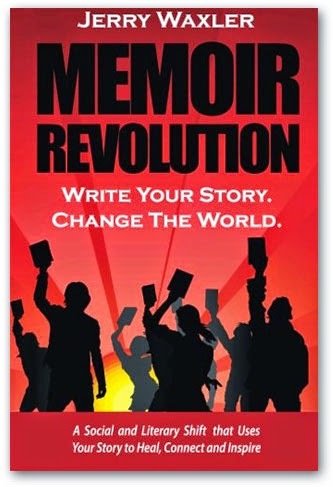 Learn how have “memoir tribes” inspired and supported the notion of the Memoir Revolution. Join Lisa Haselton as she interviews the knowledgeable and interesting Jerry Waxler about his memoir writing book Memoir Revolution. Jerry has graciously provided an ebook copy for one lucky giveaway winner. This is a blog stop you won't want to miss! Today we hear from Lisa M Buske as she reviews the educational and enlightening Memoir Revolution by Jerry Waxler. Lisa will also be offering a giveaway to one lucky reader! Enter to win a copy of Memoir Revolution: A Social Shift that Uses Your Story to Heal, Connect, and Inspire by Jerry Waxler! Just fill out the Rafflecopter form below. We will announce the winner in the Rafflecopter widget this Friday, November 7th! Thanks for hosting the blogtour. It's a pleasure working with you. What a cool way to get "out" and meet people. I look forward to comments, questions, or interaction to share what I've learned about memoirs, or if anyone wants to share what they've learned with me. I'm looking forward to reading your book and following your tour! Thanks for your interest! If you liked this interview, you'll love the rest of the blog tour. I used it as an excuse to write about the writing life, about the Memoir Revolution, and a few anecdotes from my memoir in progress. I'm now a believer in blog tours and wish everyone could have this opportunity.